In line with the Swachh Bharat Mission, Raipur Municipal Corporation has started fining people who are urinating in public. 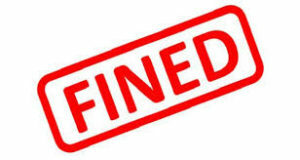 For the first time offenders, the fine is Rs 50. On the second offense, they will have to pay Rs 100 and on further repetition, the fine is of Rs 500. The corporation has also introduced 88 single unit urine boxes at 88 locations in the city. The Ministry of Housing and Urban Affairs is already working towards making cities and villages not only Open Defecation Free but also Open Urination Free by next year. For this two new categories are there in Swachhta ranking-ODF+ and ODF++. Raipur Municipal Corporation has already fined 951 persons urinating in public for Rs 9,735. 236 people were fined for defecating in public for Rs 2,365. There are 181 public and community toilets in the city.